An idea is just an idea, by itself it doesn’t win any prizes. It’s the work and dedication of all members of the innovation team to invent something, refine it and then turn it into something that we can see and connect with, that it becomes worthy of praise, critique and excitement. “Put yourself in the shoes of our customers, come up with an innovative idea that will improve their lives and build a prototype in one week.” This was the assignment for Textkernel’s sixth innovation week, which saw 11 teams dedicate 5 days of their time to bring new ideas to life. 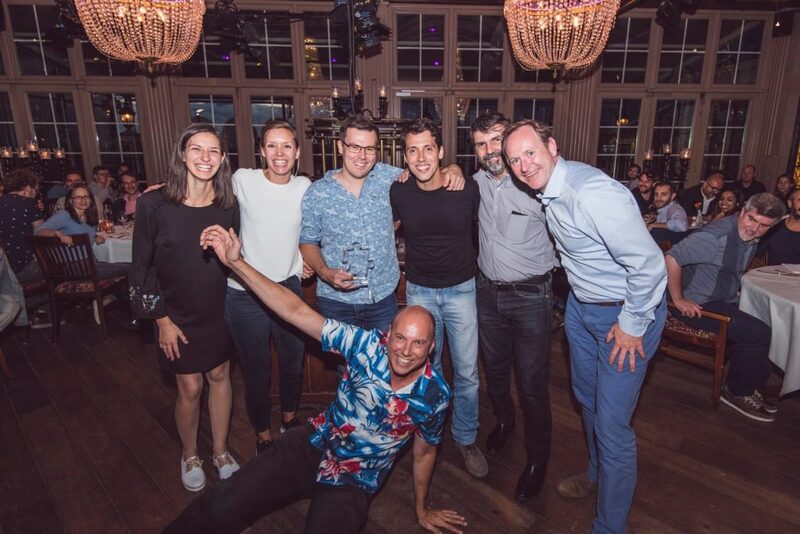 Here’s how Ruben Geerlings, Textkernel’s Head of Architecture and co-organiser of Innovation Week saw the week unfold. 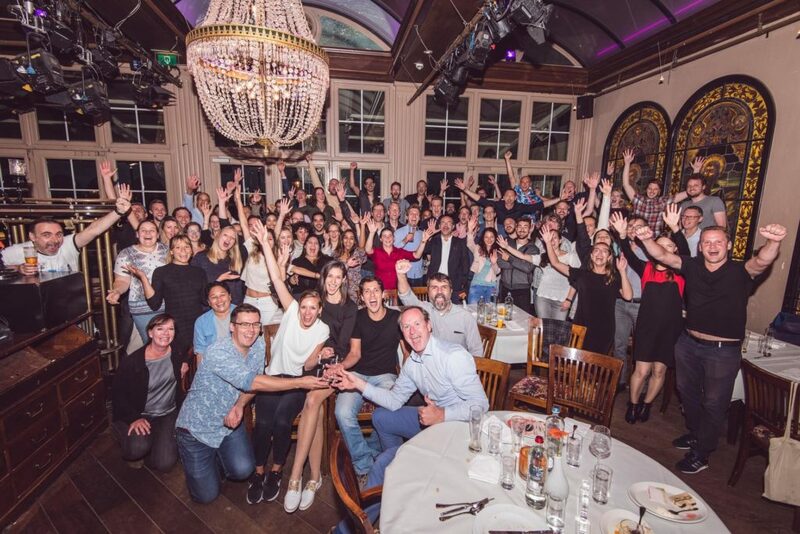 Textkernel Innovation Week is an annual event for the whole company to set aside their regular work and develop innovative product ideas. Ideas can come from anywhere. They are pitched in front of the whole company and then voted on by all attending. The ideas with the most votes go on to form innovation teams. Innovation teams are cross-functional and span all departments. Everyone participates: from sales to professional services, from developers to researchers. 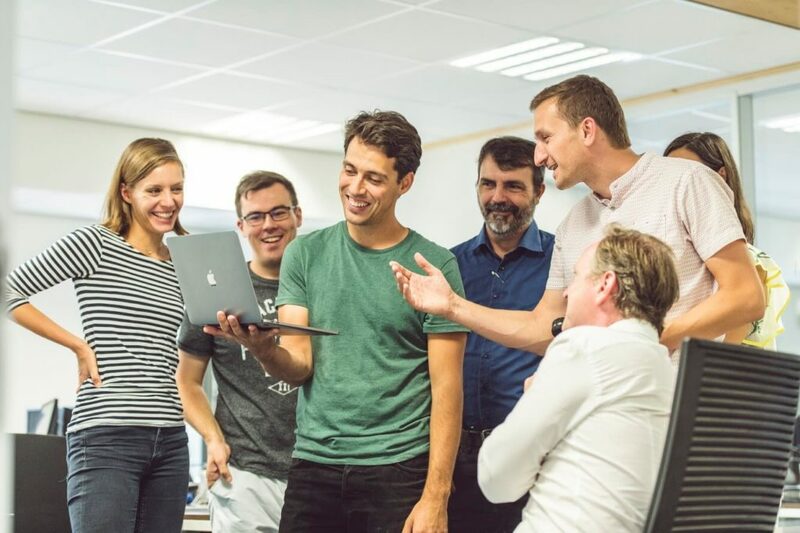 People sign up for the teams they find most interesting, and we make sure that every team has the necessary skills on board to be successful. This involves at least someone from sales and marketing and a cross-section of engineering skills to be able to develop the idea during the week. People contribute to a team with their skills, not necessarily their role. For example, someone working in presales can contribute to a team doing web development. The goal of an innovation team is to develop their idea into a working prototype and present it to the whole company at the end of the week. 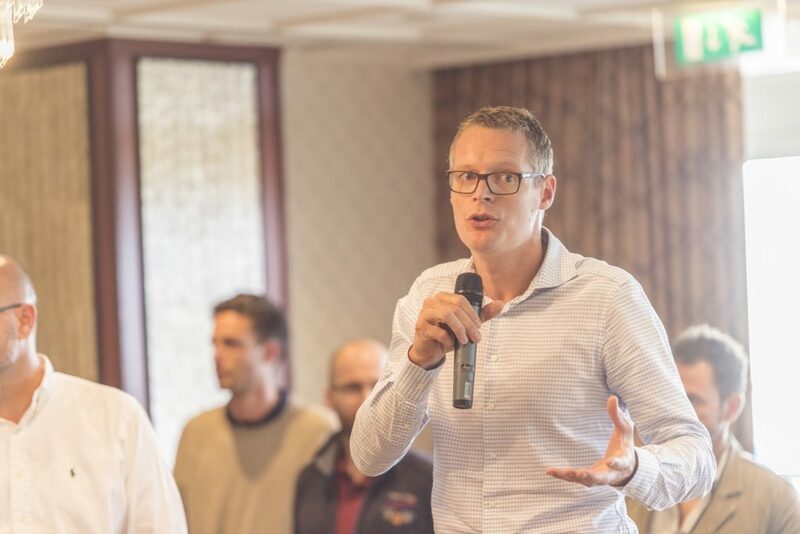 The presentation is important as the team has to explain what it is that they have created, who it is for, why it is relevant to our company and then cover the technology: how it is made and what it would take to bring this into the hands of our customers. Teams that present the ideas well reap the rewards, as innovation week trophies are awarded to the teams with the most audience votes. And beyond this: the best innovation week ideas get a place on Textkernel’s product roadmap. The approach here is simple: start by thinking of what it is like to be in a customer’s position and then think about the particular needs you would want to be solved. In principle, everyone is capable of doing this and it doesn’t require specific skills or tools (after all, we were not expecting teams to do their own field research and interview customers during innovation week). What it does require is a shift in thinking. As a technology-driven company, it is natural to jump on top of emerging technologies, especially when working in a research or engineering role. The challenge is to find technology that fits particular customer needs rather than finding customers that fit a particular technology. It brought up interesting discussions among our colleagues in preparation for innovation week: Who is the customer? What do they need? It turns out that in order to pinpoint specific needs we need to be more specific about the type of customer: direct employers, staffing agencies, job boards, software vendors, etc., they may have different needs. Moreover, we can distinguish among owners of our software (e.g. the staffing agency) and the end users (e.g. job seekers on the internet). This makes “Who is the customer?” a relevant question when deciding whether a given solution benefits the end user or the application integrator (e.g. easy to use application versus easy to integrate API). It turns out that focusing on your customer helps to sharpen your pitch and weigh different ideas. Conversely, some innovative ideas were dropped because they couldn’t be linked to a customer need. Although this was disappointing to some, the reasoning is that by putting the focus on customers you get the biggest chance of earning a spot on the company roadmap. If an innovative idea does not solve a customer need then it would have a very small chance to get implemented anyway. This year we had eleven innovation teams, each focusing on a particular customer need and creating a prototype to demonstrate the ideas. 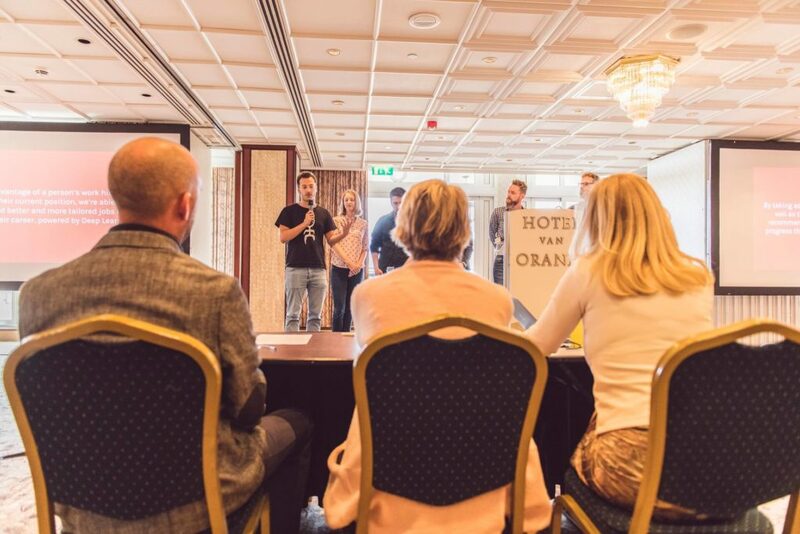 At the end of the week, we travelled to Hotel van Oranje in Noordwijk for the team presentations. Veda Harloff, Vice President, Global Digital Solutions at Right Management. Every team had seven minutes to present their idea followed by questions from the panel and then the audience. As it was the first time having customers in our midst during Innovation Week we were all very excited, not least the people presenting to the customers and answering their questions. From the start, it was clear that the panel took their role very seriously. They played their part perfectly which was amazing to see knowing they were all new to this. They gave praise to the teams but they were also inquisitive about any claims made, especially about the benefits for customers. For example, one team presented a novel machine learning technique called Active Learning with the benefit of being able to create CV parsing models needing fewer example documents to train with. The panel wanted to know: how does this benefit the customer? Will we get new models faster? Or will we get higher accuracy models? Great questions that got to the heart of the matter. The first prize winner of this year’s innovation week award is team VisualMatch!, an idea pitched by Mihai Rotaru. The team developed a completely new user interface on top of our Match! engine that made a big splash during the presentations. As soon as Tijs van Tilburg started the demo and the new UI features sprang to life, the audience erupted in applause. It was a very convincing demo because it connected on many levels. First, because it is an original idea, nobody expected it so when you saw it for the first time it caused a wow effect. Second, the prototype was extremely well done, you could see that the team put a lot of effort in every detail that made it look like a finished product. Third, because it addressed a real customer need that many of us could relate to, which was to make the Match! interface easier to use for novice users. The customer panel and the audience were unanimous in their votes resulting in VisualMatch! taking first prize. It did not take anything away from the great performance of the other ten teams that day. The teams were very close together in number of votes. 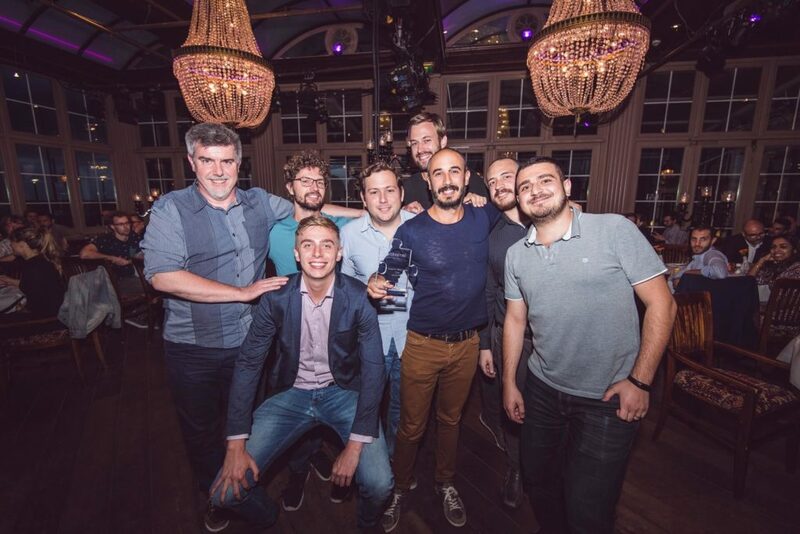 The second prize was awarded to team UConfig, an idea pitched by André Lino for which the team created a complete solution for customers to manage their own Search! environment. 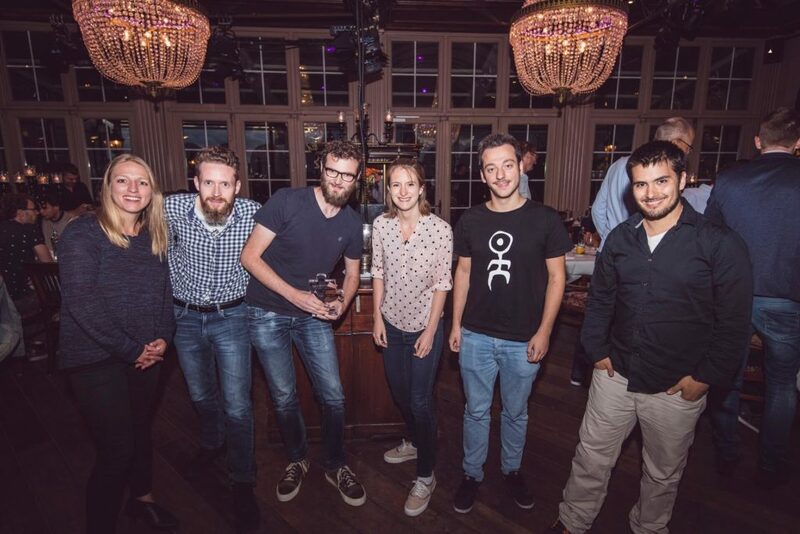 Third prize went to team Deep Learning Resume-to-Job Advancer, an idea pitched by Vincent Slot for which his team created a Deep Learning model that can predict career paths based on a person’s resume, making it possible to match people to the jobs they are going to want rather than the roles they already had. What is fascinating about innovation week to me is that which becomes obvious in retrospect, the great ideas and the positive feedback from customers on something that doesn’t even exist at the beginning of the week. An idea is just an idea, by itself it doesn’t win any prizes. It’s the work and dedication of all members of the innovation team to invent something, refine it and then turn it into something that we can see and connect with, that it becomes worthy of praise, critique and excitement. That’s the merit of all the individuals participating in innovation week and it makes me proud to see this year’s biggest turnout yet. I am also very thankful for our customers who made it possible for us to live up to this year’s theme of customer focus. It is always a risk to make changes to a format that is loved by many people, but having seen the results of this year’s innovation week and the positive reactions from all participants, I get the feeling that we will hang on to this theme for innovation weeks to come. 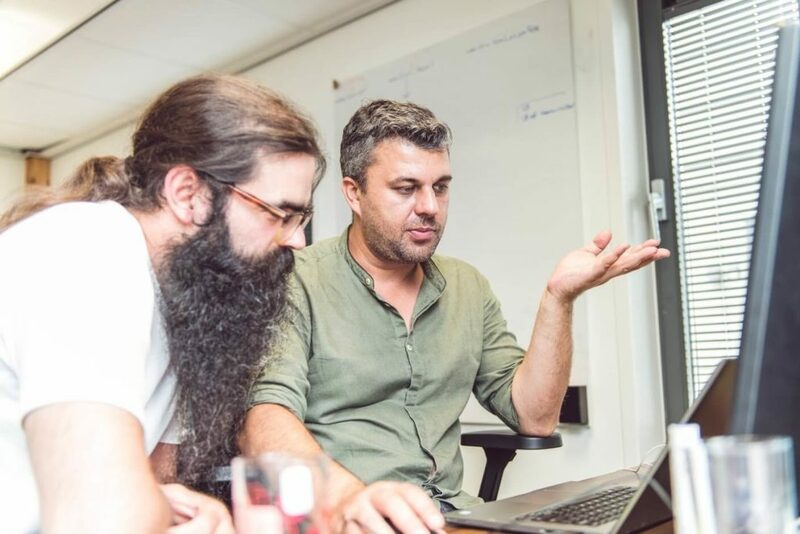 “As a partner, it was an honour to get a taste of what’s brewing at Textkernel. It’s very interesting to see what the struggles and ambitions are. 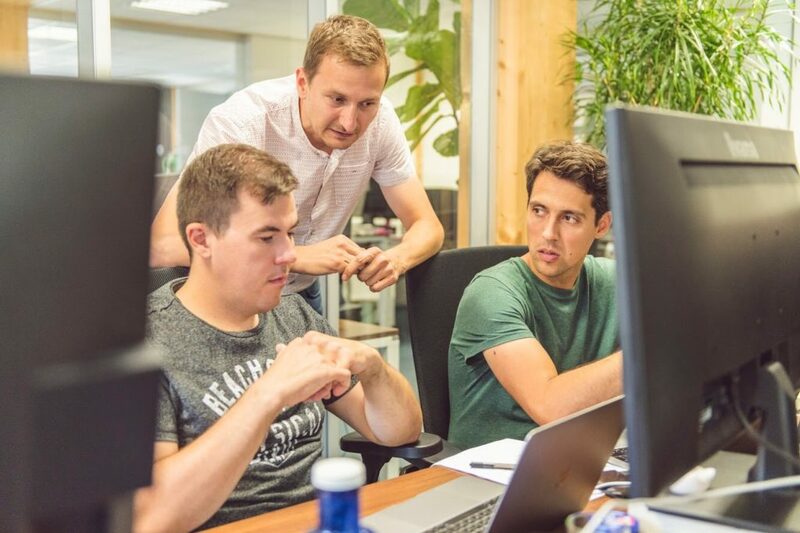 Textkernel is a great organisation with 130 people, you can be very proud of that.” – Arco Westbroek, Chief Product Owner at Carerix. “I thoroughly enjoyed the day! 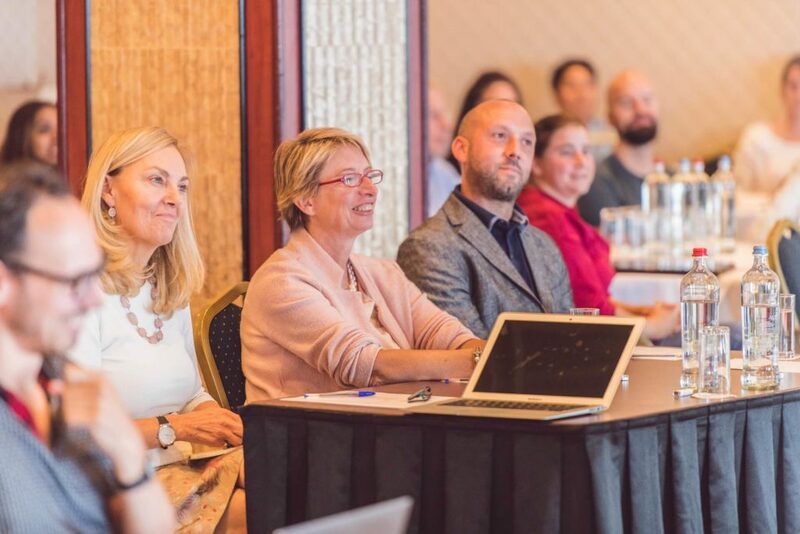 It was very exciting to see such diversity, dedication, expertise and enthusiasm from a team clearly focussed on innovation and a leadership team committed to execution.” – Veda Harloff, Vice President, Global Digital Solutions at Right Management. “The innovation week presentations showed a dynamic, diverse team, with ideas ranging from sound, basic business improvements to contributions to the world of data science, worthy of an academic article. I loved the energy and the camaraderie! Picking the best three out of eleven was quite a task!” – Mar Kessler, ​Global VP, Digital Strategy & Innovation at ​Randstad​. Ruben Geerlings is Head of Architecture at Textkernel. He has worked at Textkernel for over eight years, starting on Sourcebox and subsequently moving to development of the Search! and Match! products. In his current role, he is responsible for the scalability of Textkernel’s SaaS platform. He is also one of the organisers behind Textkernel’s Innovation Week. His past innovations include a “virtual agent for online applications” and a “crowdsourced job recommendation engine”. 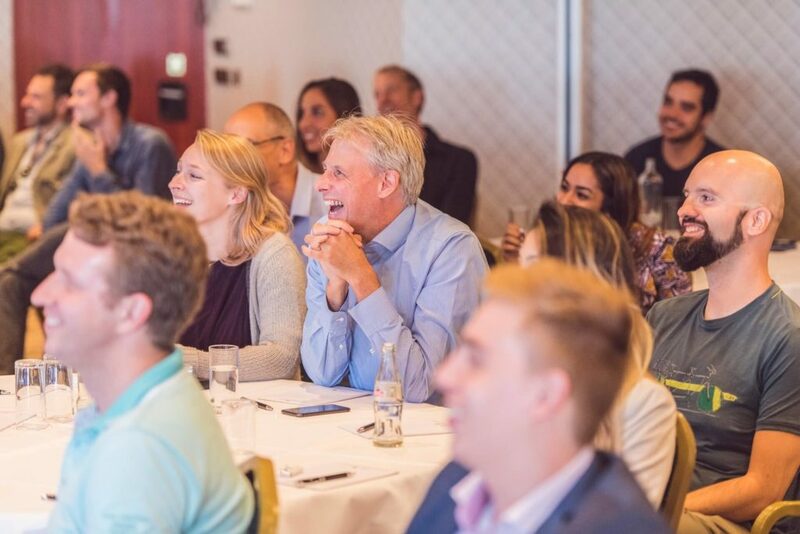 Interested in Textkernel and want to be part of Innovation Week 2019? Head over to our Careers site and find a position that suits you!